SAN FRANCISCO (CN) – A new report finds post-wildfire logging harms the spotted owl, an endangered species tied to the precipitous decline of the logging industry in Northern California. The study, released Thursday, finds breeding habitats favored by the endangered spotted owl are not abandoned due to raging wildfires but instead left because of post-fire logging activities common on both private and National Forest land. “What fire suppression is doing is depriving wildfire-dependent species of the unique types of habitat that are created by fire,” said Chad Hanson, a research ecologist with the John Muir Project of Earth Island Institute, and one of the study’s authors. While Hanson’s current study focuses on the California spotted owl, he has spent most of his career studying the black-backed woodpecker, another avian species that uses newly burned forest for habitat. During this career, Hanson has earned a fair share of controversy for what some consider his unorthodox views towards public lands management, including the theory that fire suppression in California’s wildland has been ultimately detrimental. “There is almost universal agreement that there is a deficit of fire in our forests relative to before fire suppression activities began,” he said. This lack of fire has hampered the populations of various species that evolved to take advantage of recently burned forests, including the black-backed woodpecker, the spotted owl and the Pacific fisher, Hanson says. Specific to the California spotted owl, Hanson teamed up with Monica Bond and Derek Lee to study how post-fire logging impacted the species. Bond and Lee had formerly found the California spotted owl, which lives in the Sierra Nevada and the mountains of Southern California, would fly farther to forage in high-intensity burn areas, rather than the low and moderate burn areas. The owls were attracted to these particular areas due to an increased density of small mammals — the primary food source for the raptor. Hanson, Bond and Lee then surmised that logging activities in these all-important forage areas could be enormously detrimental to the birds. The results of the study confirmed this hypothesis, Hanson said. For instance, owl occupancy was found to have declined after the 2014 King Fire in the El Dorado National Forest just southwest of Lake Tahoe. While one would naturally think the decline in occupancy was due to the fire itself, the study concludes post-fire logging operations created the population decline. Further bolstering the theory was the increase in owl occupancy in and around the 237,000-acre Rim Fire near Yosemite National Park in the immediate aftermath of the 2013 event. This occupancy then declined precipitously once logging operations commenced soon after the fire was contained. 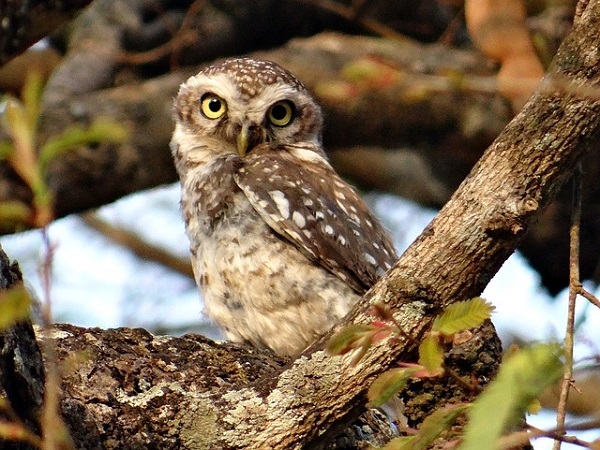 “Our results were not surprising considering that spotted owls evolved with forest fires, but logging is a new disturbance to which they are not adapted,” Bond said. For Hanson, the study is yet another addition to a growing body of evidence that commercial logging in the wake of forest fires harms the forest ecology and certain wildfire-dependent species. But several ecologists label Hanson an advocate, claim his studies are colored by an anti-logging bias and insist he runs his studies to confirm his convictions rather than discover conclusions presented by objective evidence. “All of my research is extensively peer-reviewed,” he said. Moreover, Hanson said accusations of bias often come from scientists affiliated with the U.S. Forest Service, which depends on commercial logging for a significant portion of its budget. “Climate science that comes from companies like Exxon Mobil comes with an asterisk and it should,” he said, adding that the same type of skepticism should be applied to science created by ecologists who rely on logging for funding. The California spotted owl is genetically distinct from the Northern spotted owl, which has been listed as threatened under the Endangered Species Act since 1990. That listing forced many logging companies had to suspend operations in areas of the forests in the far northern stretches of California and the Pacific Northwest that were identified as critical habitat for the owl. The logging industry claim as many as 150,000 jobs were lost in the 1990s due to the owl’s status, although those numbers are disputed by environmentalists. The California spotted owl, which is the subject of the latest study is not listed under the Endangered Species Act, but Hanson and Bond petitioned the U.S. Fish and Wildlife Service to have it added. They expect to have a decision sometime in the next year, Hanson said.